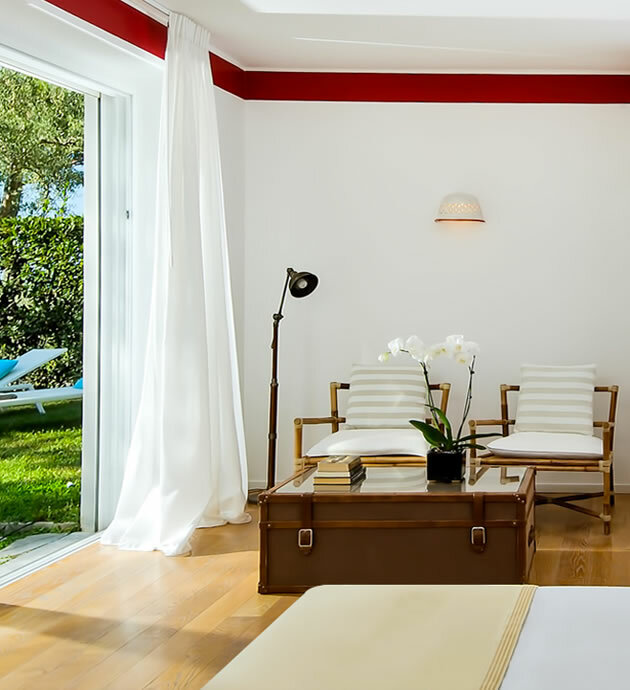 Relais Blu is a charming 4 star boutique hotel that is located in the lush village of Marciano –Termini in Massa Lubrense. 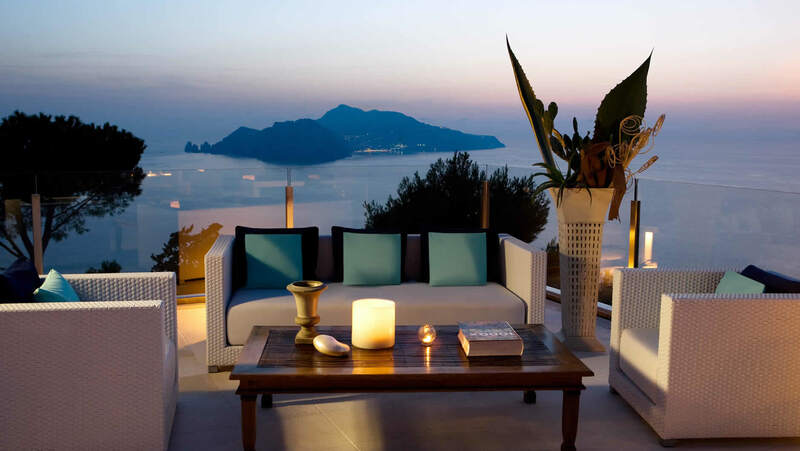 Our magnificent location divides the Sorrentine Peninsular and the Amalfi Coast offering breath-taking views that extend out to the Island of Capri. Suspended between land and sea, Relais Blu is a Mediterranean style villa offering an intimate location, fresh white décor but with just the right touch of colour to enhance its lush surroundings! The large windows and spacious terraces allow you to experience the remarkable colours of the scenery which change from sunrise to sunset. 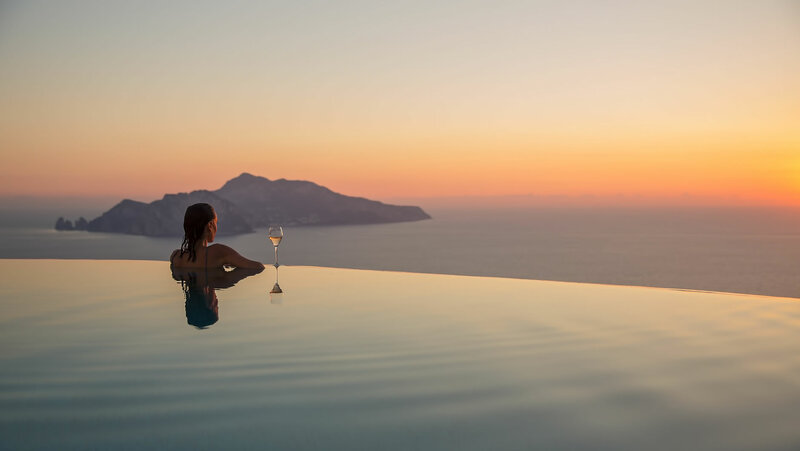 Rooms equipped with every modern comfort, beautiful terraces, an infinity pool and a gourmet restaurant, Relais Blu offers the perfect combination of charm, luxury and romance. 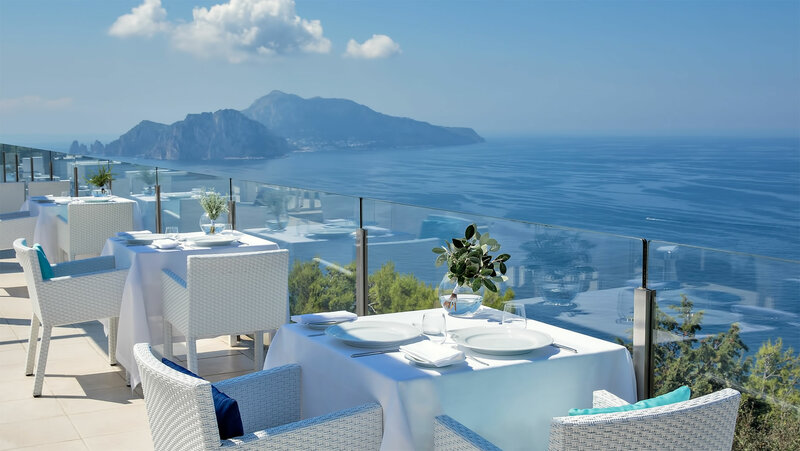 An elegant restaurant, a romantic terrace overlooking Capri and a Michelin Star kitchen. An experience above and beyond. 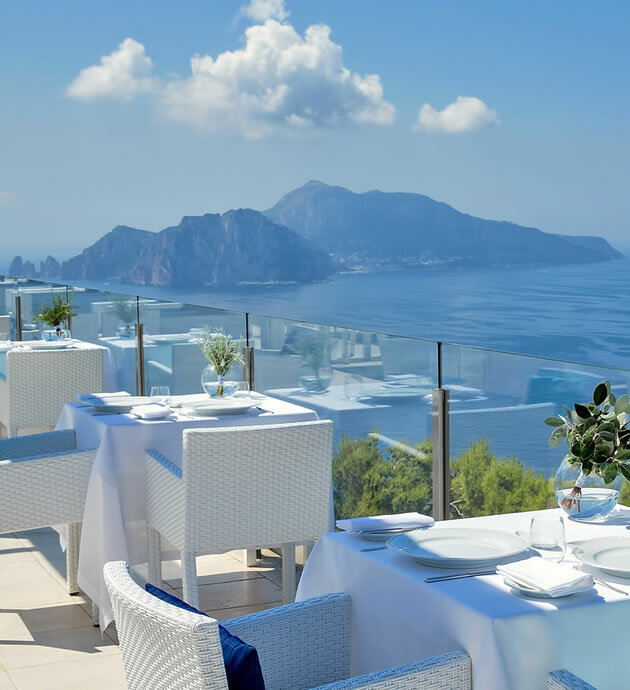 The infinity pool and terrace overlooking the Gulf of Naples offers the guests of Relais Blu an unforgettable experience. Elegance, comfort and with a modern design. 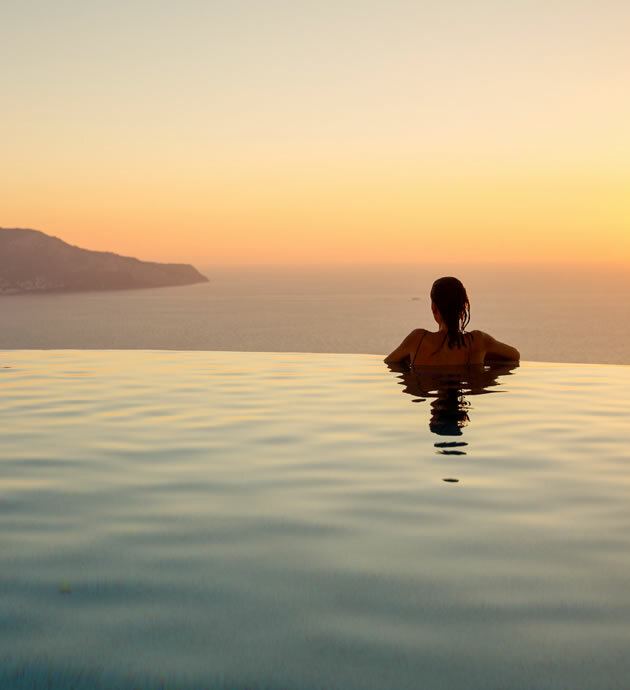 All rooms at Relais Blu ensure an experience of ultimate relaxation. The rooms are individually decorated and equipped with all of the necessary comforts needed to make sure that you have an enjoyable stay. 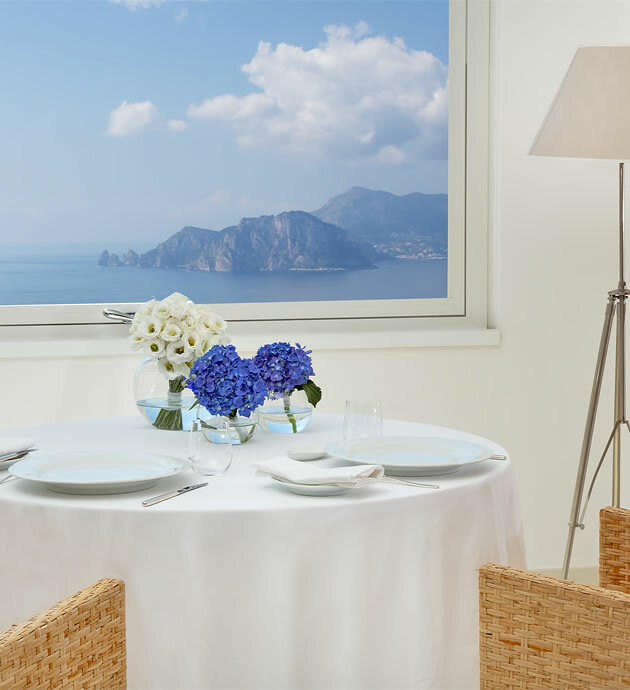 Treat a loved one to a romantic dinner at our Michelin Star restaurant Relais Blu, perhaps combine it with a romantic stay at our Hotel. Or simply buy a voucher towards celebrating someone’s special event.